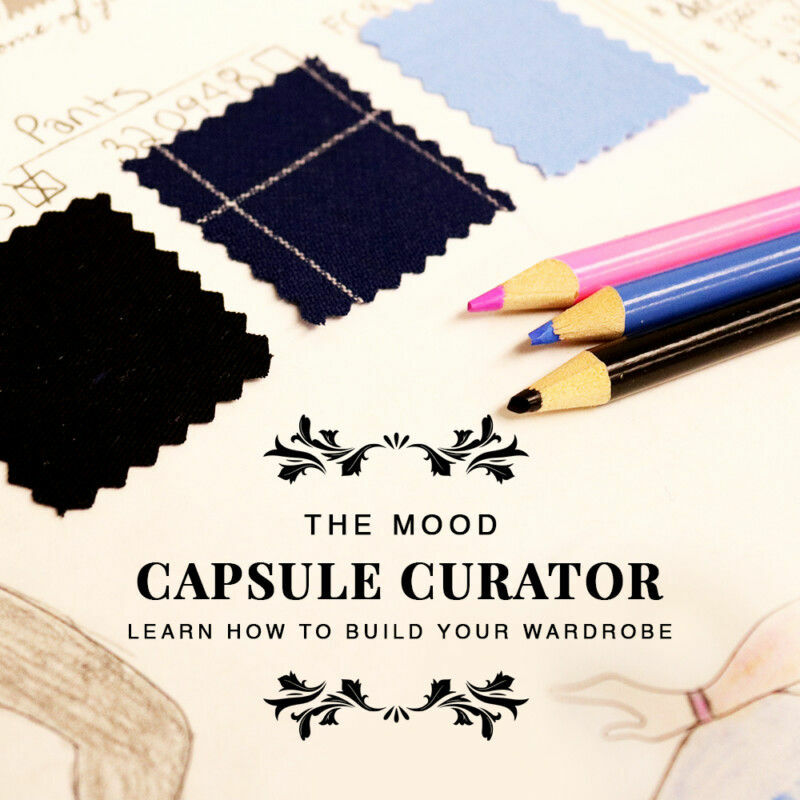 How often do you find yourself dreaming of new garments at the end of Fashion Week? 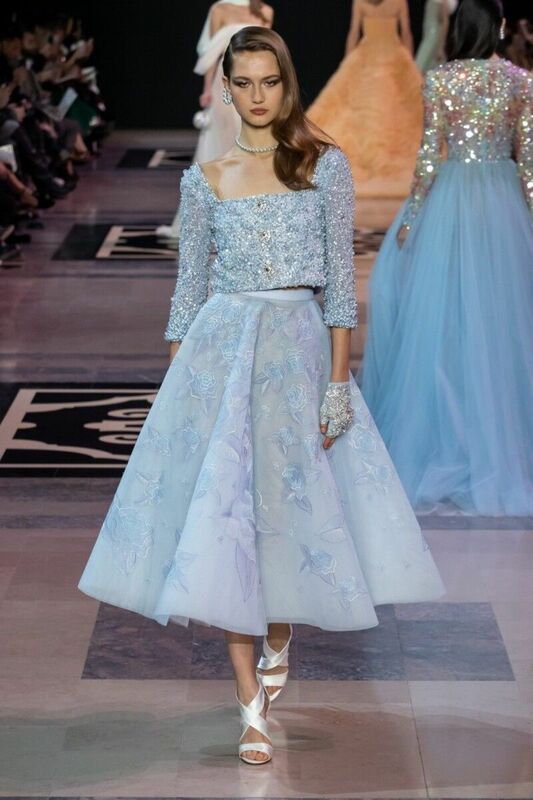 From wide-legged pants to ’40s style pleats, I’m loving all of the throwbacks, but nothing caught my eye quite as much as this ’50s-esque dress from Georges Hobeika’s Spring 2019 Couture Collection. 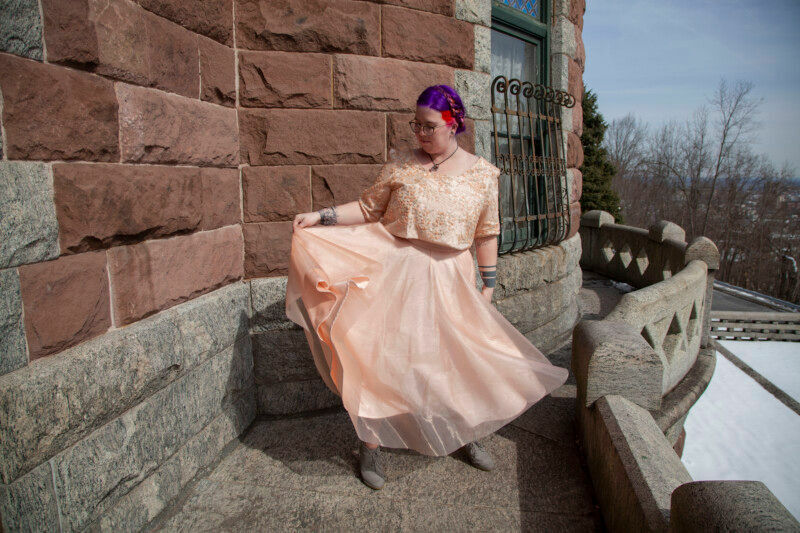 With its adorable bouncy circle skirt and a gorgeously beaded crop top for a modern twist, I needed something similar in my wardrobe immediately. 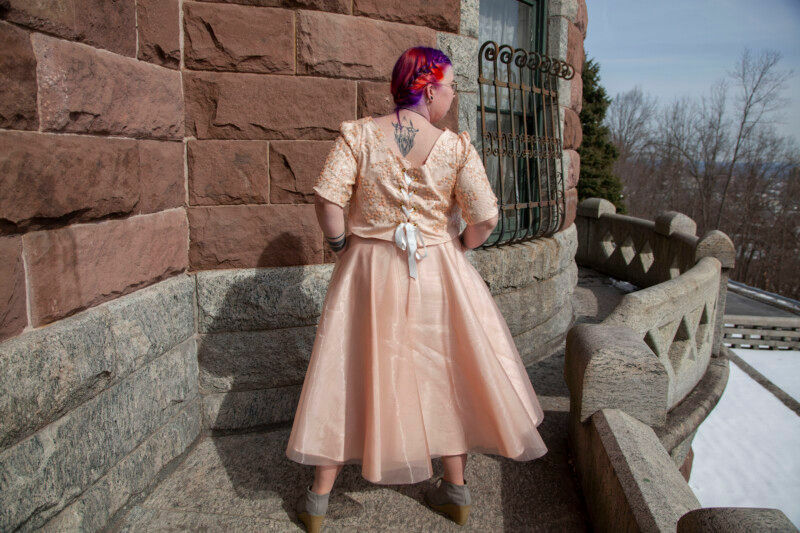 The Rodanthe Dress gives off similarly vintage vibes with the added benefit of pockets. 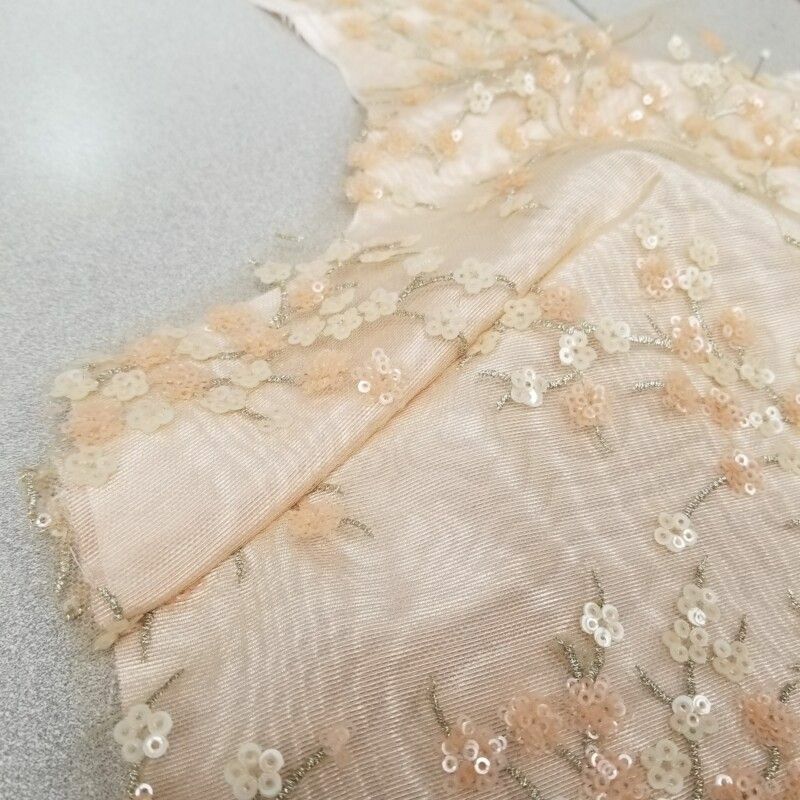 Match your accessories to the delicate lace-up top, or skip the additional layer altogether and opt for a simple sweetheart gown perfect in an organdy, faille, or brocade. However you style the Rodanthe, you’re sure to stun! 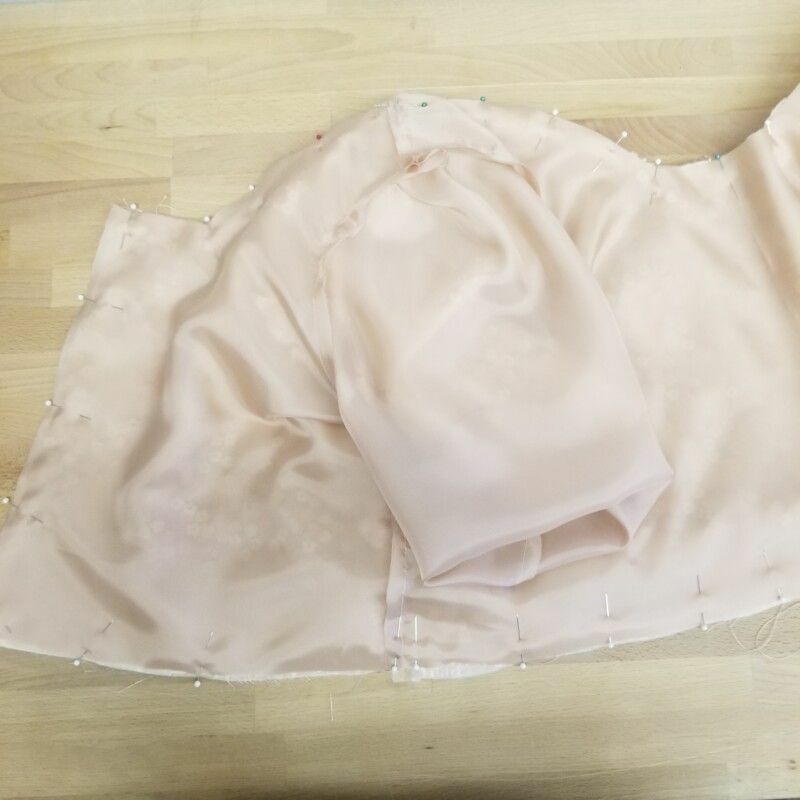 For the bodice, begin sewing your main fabric and overlay together as if they’re one fabric (the overlay placed on top of your main fabric). 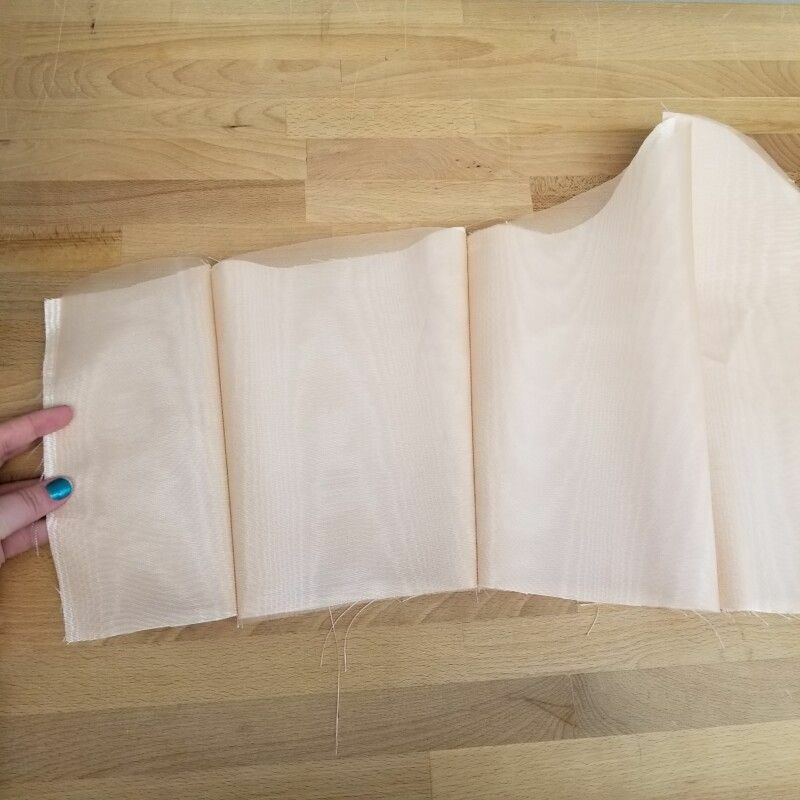 For my dress, this is the organdy placed over the poly moire. First, sew the side front bodice pieces to either side of the center front piece. Press your seams, and if you’d like you can also top-stitch them down. Next, choose which side you’d like to place your zipper. 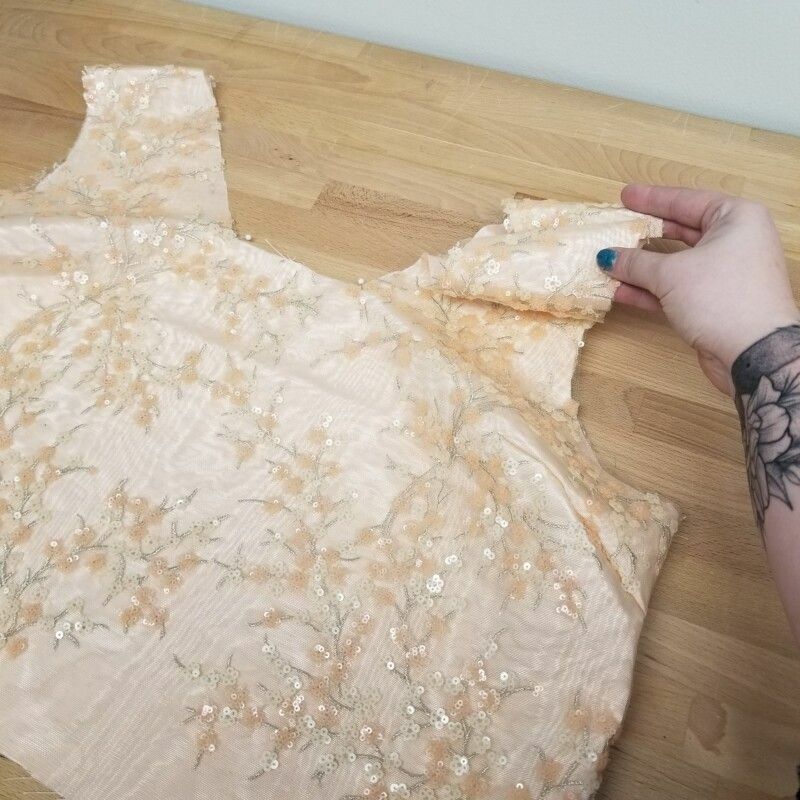 On the opposite side, add the side back panel, followed by your two center back pieces, followed by the remaining side back panel. Press and stitch your seams open. 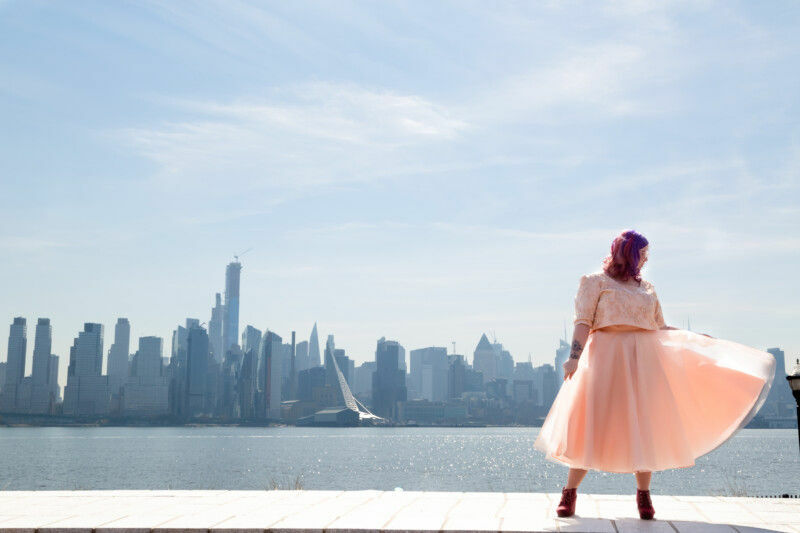 Set your bodice to the side for now, and before you start constructing your skirt you’re going to do a step that may feel a bit backward. 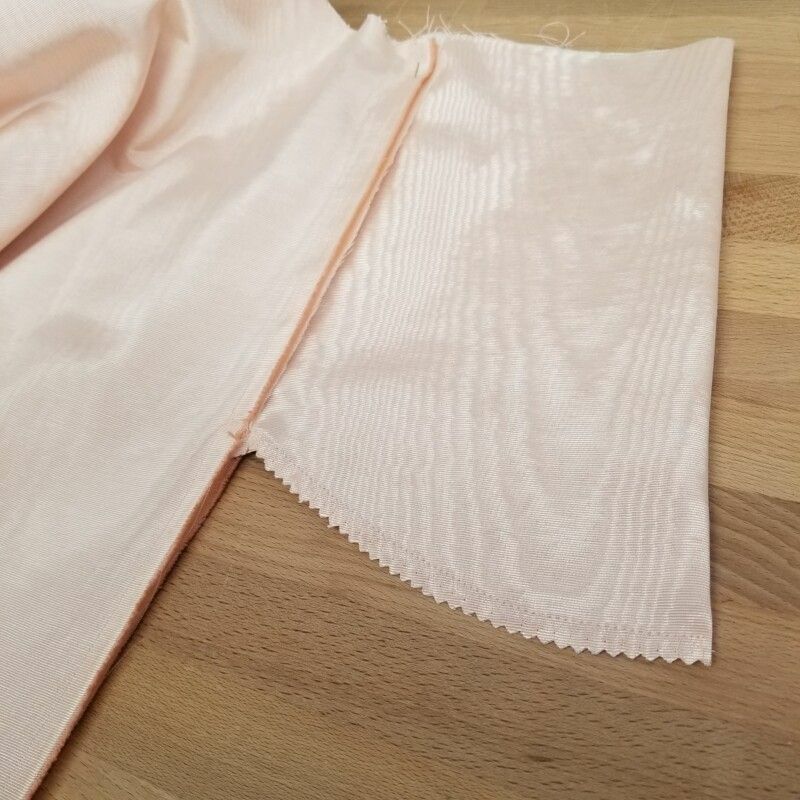 Hem the bottom of the main fabric layers of your skirt. 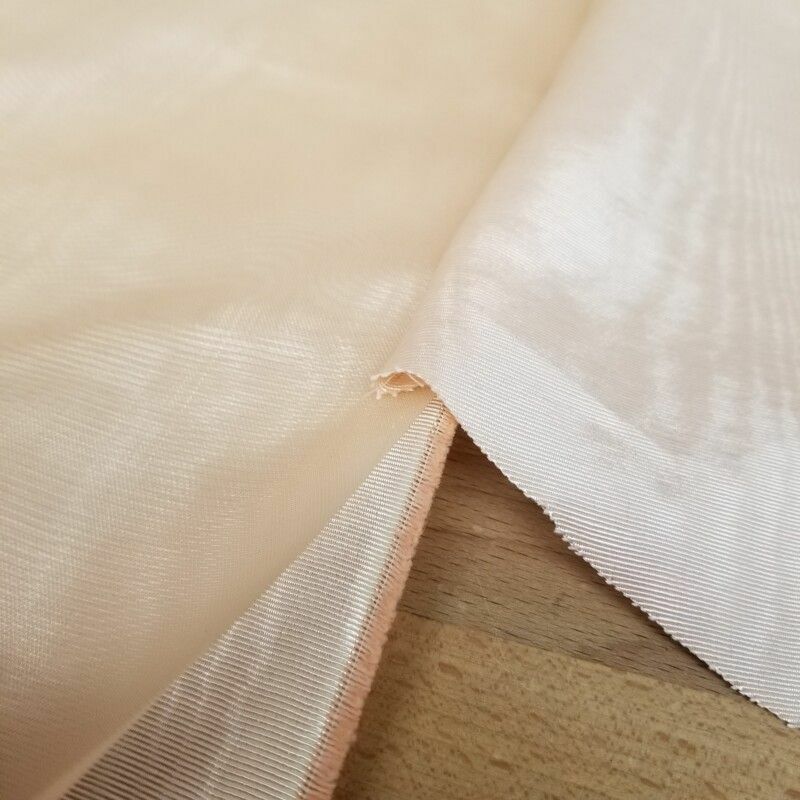 The organdy overlay doesn’t fray, but the moire does, so you’ll need to hem your two half circles before moving on. 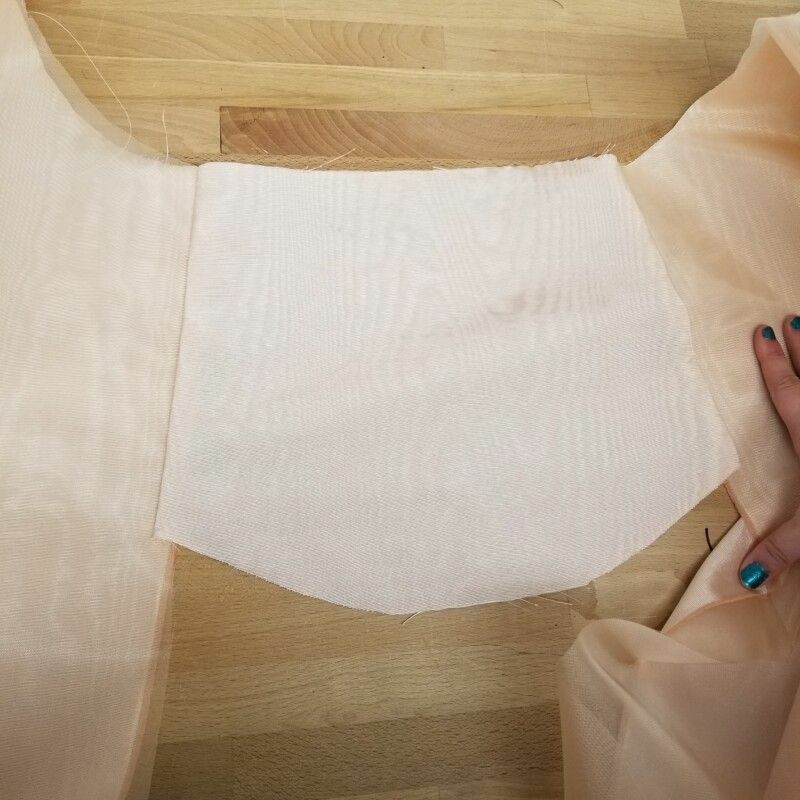 Once your lower skirt layer is hemmed, place each overlay atop each half circle of main fabric and continue on constructing the skirt as if they’re a single fabric. 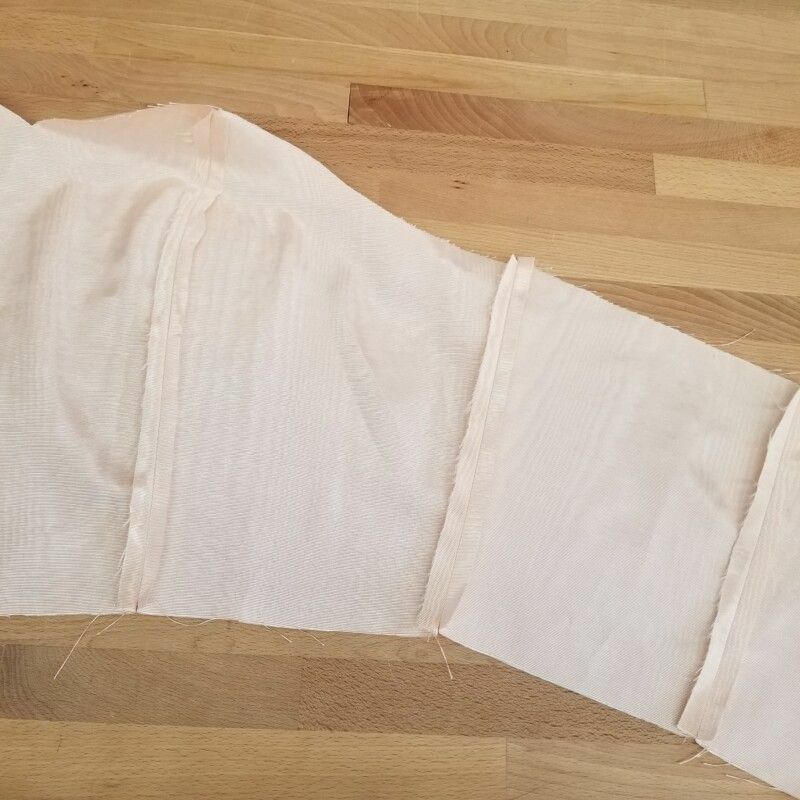 Attach your inseam pocket along the side of your skirt panels only on the side that will not house the zipper, essentially connecting the front and back of your skirts via the pocket like you see above. On the opposite side of your dress where the zipper will be, only attach your pocket to the front of your skirt. Next, fold your pocket in half on the non-zip side, fabric faces together. Sew along the bottom of the pocket to close it, and then sew down the remainder of the side of your skirt. Pin the pocket toward the front of your skirt. 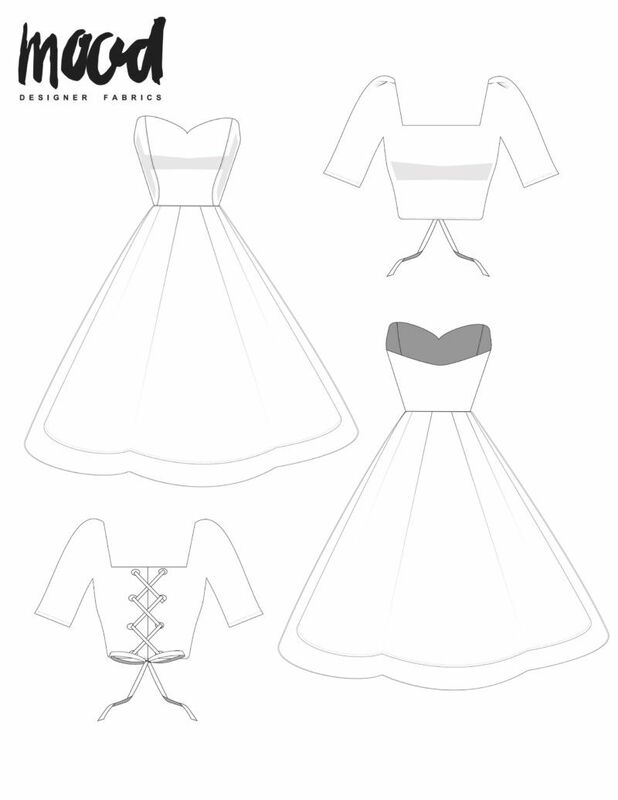 Attach the bodice of your dress to the skirt, matching up the side seams. Insert your invisible zipper regularly along the back. At the front, attach it to the bodice and the back layer of your pocket, like you see above. Sew the zipper to about 1″ from the bottom of your pocket and then shorten it. Close the bottom of the pocket and the remainder of the side of your skirt like you did before. 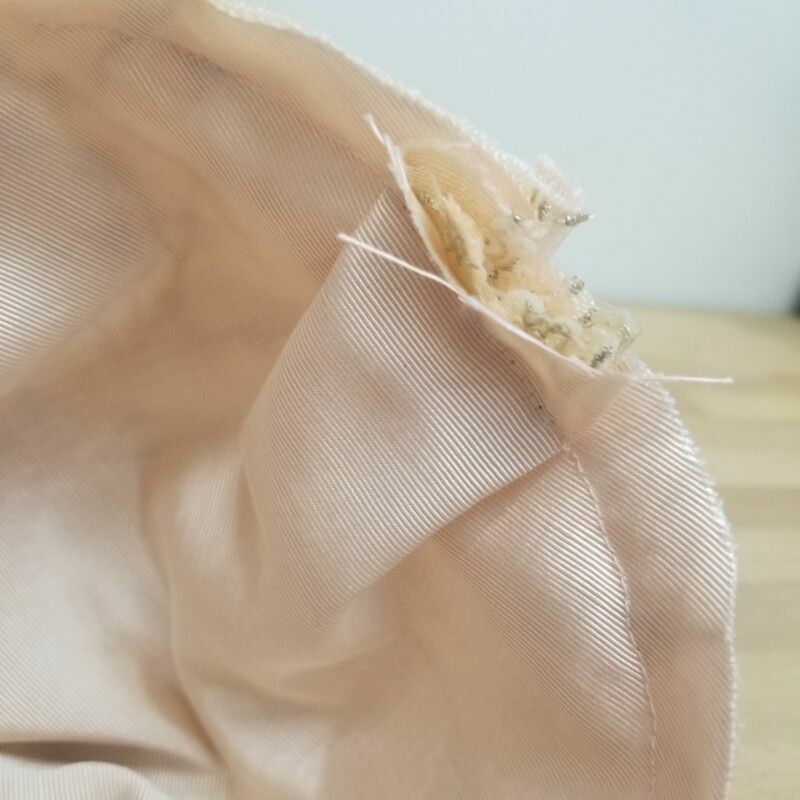 Form your bodice lining the same way you formed the bodice, pressing open the seams. 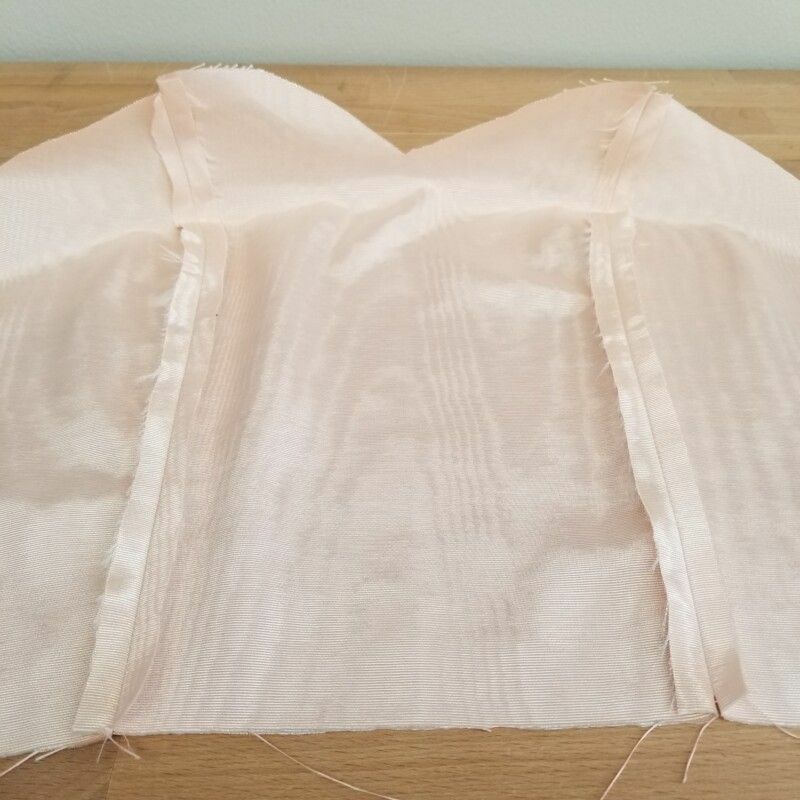 Attach the lining along the top of your bodice, fabric faces together. 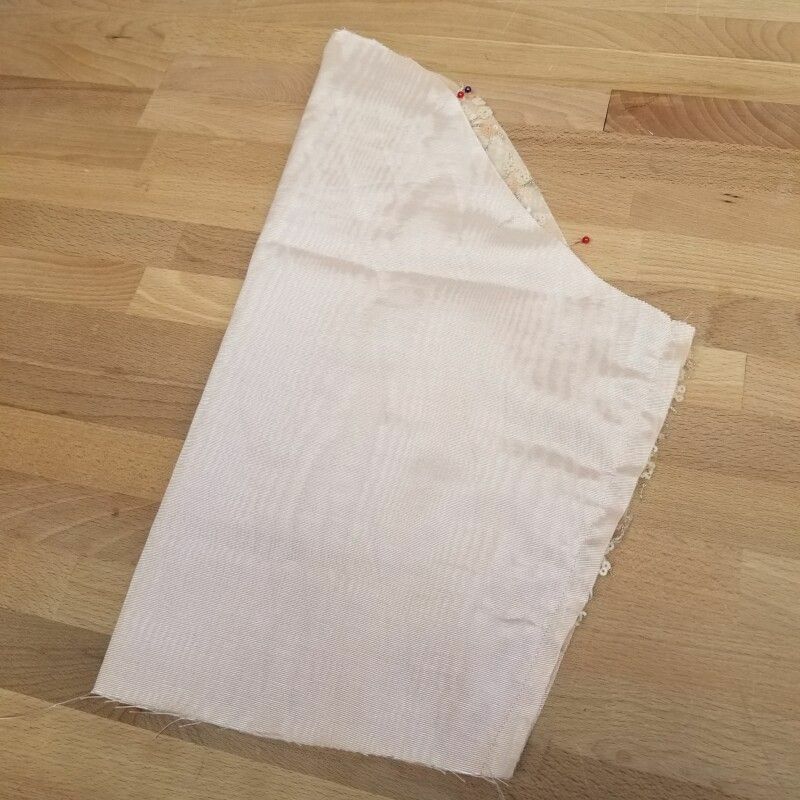 Press the lining toward the inside of your garment and slip-stitch the raw edges along the inside of the zipper and waistband. 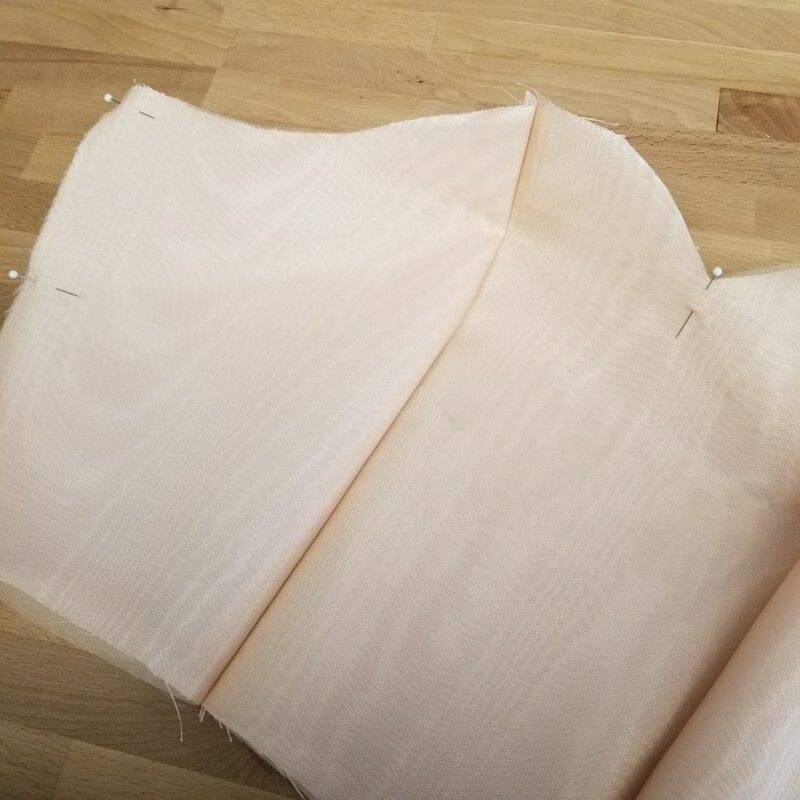 For the crop top, sew your main fabric and overlay together as if they’re a single fabric, much like the bodice of your dress. Additionally, sew your main layer and your lining layer separately, but simultaneously. Sew your bust darts, press them down, and then attach the front and backs of your top at the shoulders and sides. Sew the inseam of your sleeves and then set them into the armscye of your shirt. 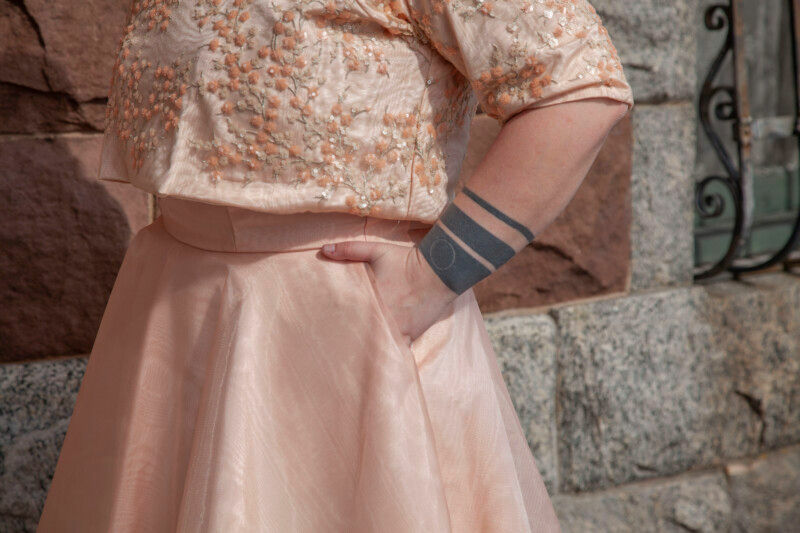 Create a small box pleat in the sleeve at the shoulder seam. 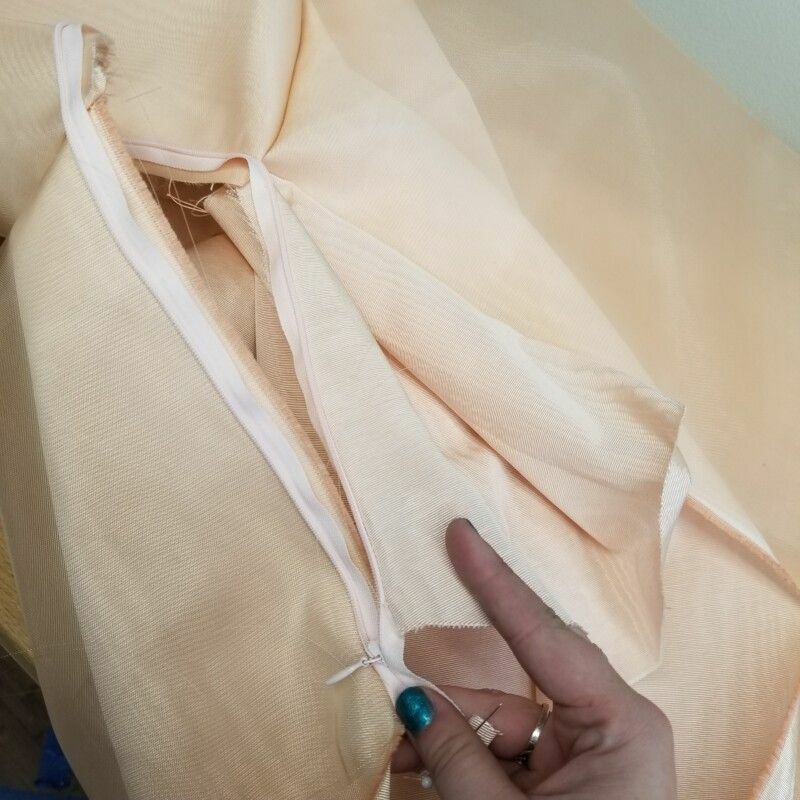 Making sure your sleeves are out of the way of your seams, pin the lining to the main layer of your shirt, fabric faces together. Sew around the entirety of the garment and then pull it right side out through of the sleeves. Press the edges of your shirt from the lining side, and then slip-stitch the bottom of your sleeves closed. 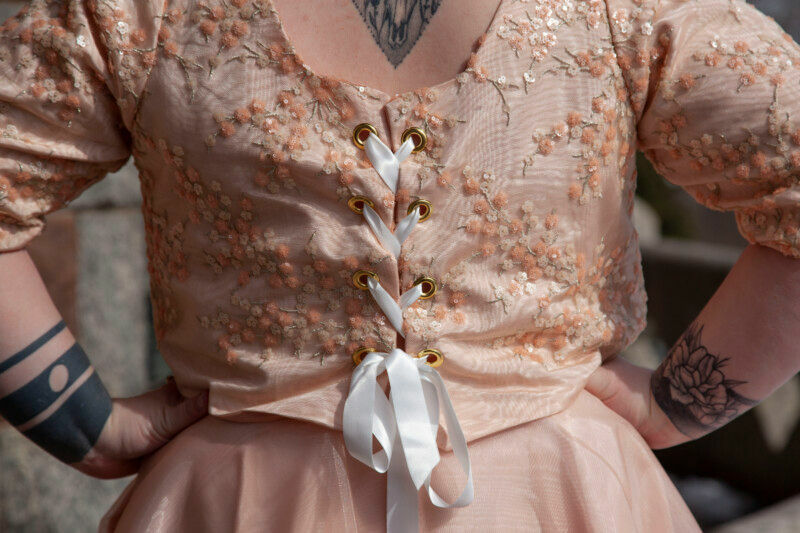 Lastly, attach four grommets to either side of the center back of your top and lace your ribbon through to complete! Will you be giving The Rodanthe a try? Let me know in the comments! That’s beautiful! And I love that it has pockets! Thanks!! 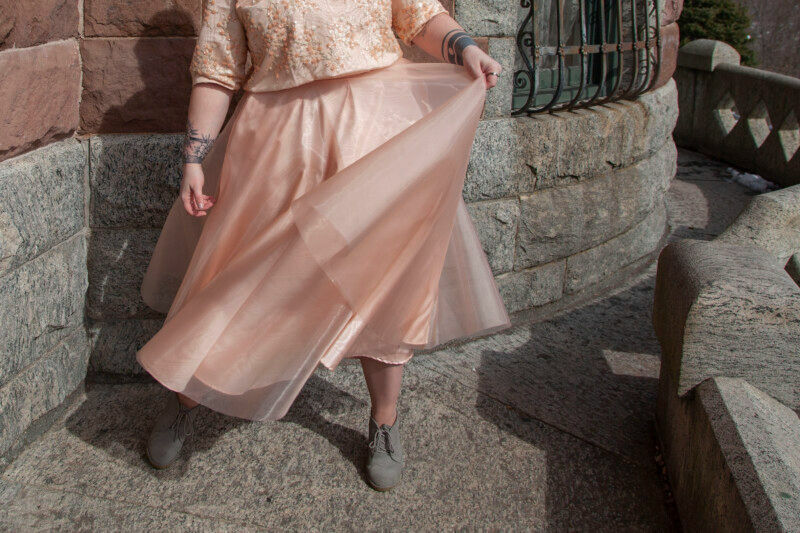 Every dress needs pockets! Beautiful! Is there a picture of her without the jacket thingy?